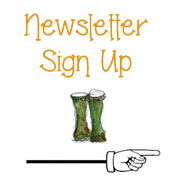 « THIS SEASONS TOMATO PLANTS – A TASTE SENSATION? I’ve been making onion strings today. 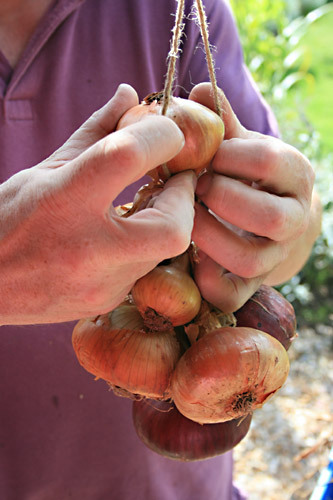 I’ve never made them before, but remember watching ‘the Victorian Kitchen Garden’ which featured a gentlemen called Harry Dodson demonstrating how to make an onion string, and I remember thinking, one day I’ll make my own. Having done it now I have to say It’s not that difficult, but there is definitely a knack to it. What I did discover today is I’ve left the onions a bit too long really before making the string. If the stalks are too dry they just snap off, and you can’t tie them in very easily. Ideally they should still be a little green and pliable. I also did a bit of research on the web and found a couple of videos on You Tube that explain it really well. I’ve posted them at the bottom of this post. 1.You going to need to find somewhere to hang your string. 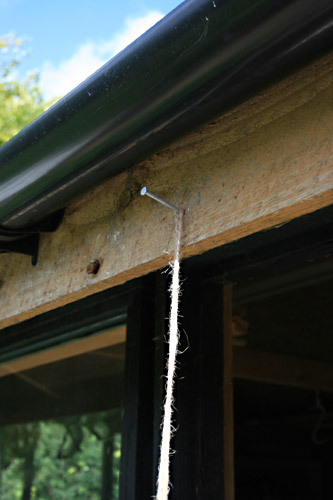 I banged in a 2″ nail into the soffit on the potting shed and hung my string from there. 2. 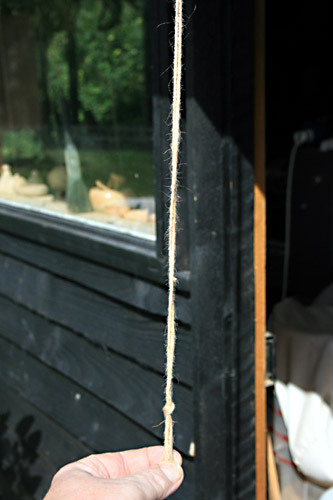 Take a length of tough garden string, about 4 feet long, double it up, and tie off the lose ends into a tight knot. 3. Hang it from the nail, and you’re ready to start. 4. 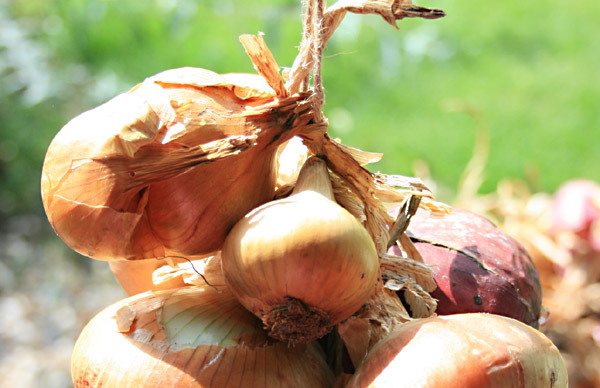 Take the largest of the onions, clean off any loose skin, and trim off any long roots. 5. Take hold of the stalk (it needs to be at least 2″ long) , then feed it in between the two pieces of string. 6. Not so easy to explain the next bit, but basically you then take the stalk and wrap it around the two pieces of string, in a figure of eight motion.I went round twice to be on the safe side. 7. Then take hold of the onion and feed it back through the gap between the two pieces of string. Your onion should now be on the string nice and tight. Slide it down the string into position, but don’t pack them in too tight as you need to allow the air to circulate. 8. 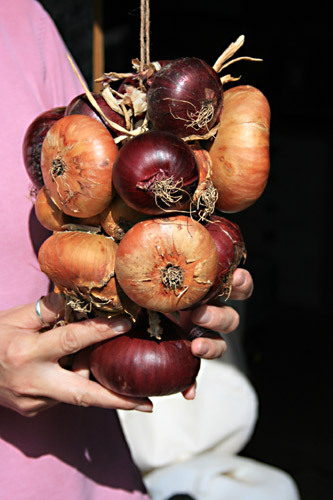 Carry on with the rest of your onions until you have a reasonable looking string. I put 8 on my string as they were a fair old weight by the time I had them all on. 9. 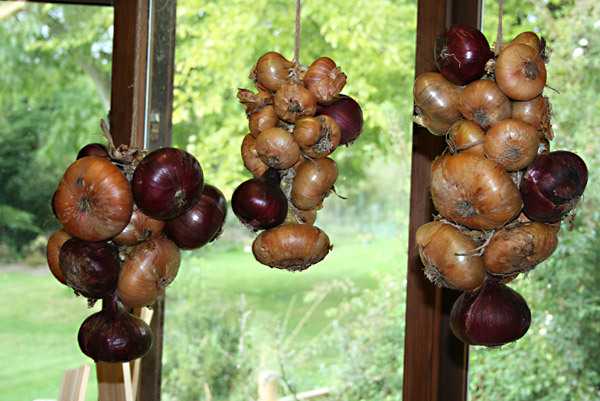 Finally, trim off any excess roots and loose stalk, then hang your string in cold dry place and they should store ok.
As you can see from the pictures my strings are not that beautiful to look at, but with a bit more care you can make great looking onion strings. I should have started with all the large ones on the bottom and them added the smaller ones as I made my way up the string, but hey it’s my first attempt after all. I’m planning on buying a cheap video camera soon so I can film these little projects, which will help with the explanations. Good luck with your onions.